Italian oil and gas services company Saipem reported on Monday that some of its servers were hit by a cyberattack. The company has shared few details about the attack – it’s unclear if it was ransomware or another type of intrusion – but its representatives told SecurityWeek that no data was stolen and that only some servers in its infrastructure were impacted. “We have no proof of the origins or reasons for the attack, though this is being investigated,” a Saipem spokesperson said via email. The company did however tell Reuters that the attack mainly impacted servers in the Middle East, including Saudi Arabia, the United Arab Emirates and Kuwait. Saipem told Reuters the attack originated in Chennai, India, but that does not necessarily reveal the identity of the attacker as malicious actors often use random servers from around the world to hide their true location. Saipem describes itself as “one of the world leaders in drilling services, as well as in the engineering, procurement, construction and installation of pipelines and complex projects, onshore and offshore, in the oil & gas market.” The company has customers in more than 60 countries, including Saudi Arabian oil and gas giant Saudi Aramco. Phil Neray, VP of Industrial Cybersecurity at CyberX, says the target itself provides some clues as to who may be behind the attack. “It's still too early to tell, but given Saipem's position as a trusted 3rd-party supplier to Saudi Aramco, an educated guess would be that the adversary is the same one that attacked Saudi Aramco in the past -- which points to the destructive Shamoon attacks of 2012 and 2016, now widely-attributed to Iran,” Neray told SecurityWeek. 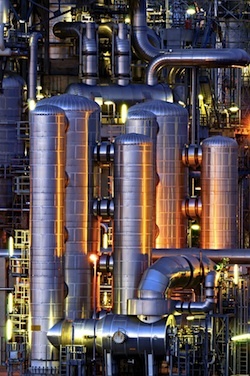 A study conducted earlier this year by Ponemon Institute on behalf of German industrial giant Siemens revealed that many oil and gas companies in the Middle East had suffered at least one serious security incident in the previous year.